German Chancellor Angela Merkel praised Turkey’s efforts in supporting millions of refugees from Syria and Iraq on Thursday, and urged EU states to help share the burden. Speaking at a summit of European conservative leaders in Malta on Thursday, Merkel said the EU had long neglected its humanitarian responsibility for refugees who have fled from conflicts in the Middle East. “The truth is that we looked away,” she said, adding that amid the EU’s negligence, Turkey, Lebanon, and Jordan had long struggled alone to cope with the influx from neighboring Syria. “Despite all the criticism we direct at Turkey in these days, it did a lot for the three million refugees and it is right that Europe would support Turkey in this matter,” she added. 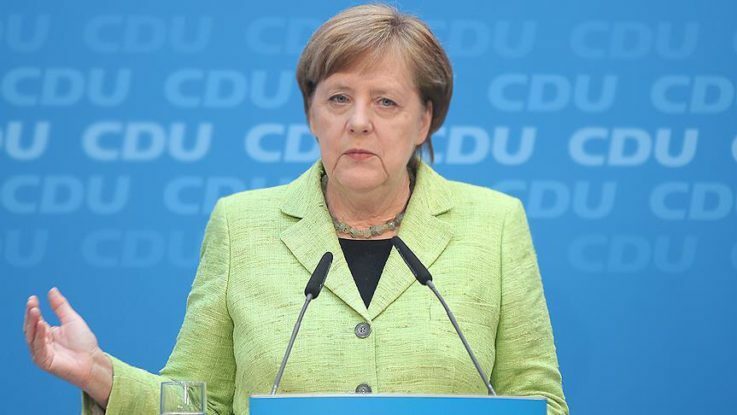 Merkel championed an agreement between the EU and Turkey last year in order to stem the illegal flows of people across the Aegean Sea, and improve conditions for millions of refugees sheltered in Turkey. While the plan has successfully reduced refugee flows, the Turkish authorities have accused the EU of not honoring its commitments. These include delays in promised funding for refugee projects, the opposition of several EU states to the relocation of refugees, a lack of progress in talks to accelerate Turkey’s EU membership and a failure to deliver on visa-free travel for Turkish nationals. Recent political tensions between Turkey and its EU partners have further increased doubts about the future of the refugee agreement, with Turkish officials publicly saying Ankara might reconsider the pact. Germany received a record 890,000 refugees in 2015, but the number of asylum seekers dropped to 280,000 in 2016 after the EU-Turkey agreement became effective.